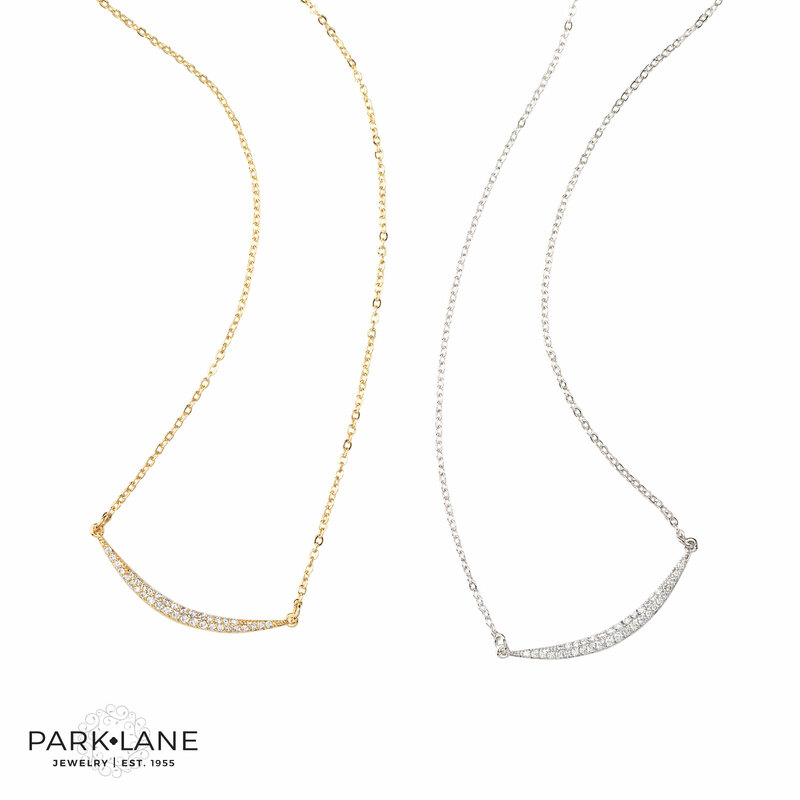 Suspended from a dainty chain, the crystal-embellished crescent pendant graces the base of your neckline. 15”+3”. Specify gold or silver finish.